Finding solutions to the challenges posed by an aging population usually involve the top political minds, researchers and healthcare professionals — everyone, that is, except the massive demographic entering their later years. Richard Caro, a San Francisco entrepreneur and co-founder of a public benefit company called Tech Enhanced Life, has set out to change that dynamic with a group of older adults called longevity explorers. With his San Francisco-based group, Caro aims to help older adults participate in the tech industry, not only as informed consumers, but also as contributors. During their regular club meetings, the Explorers — which consist mostly of adults over the age of 60 — discuss their unmet needs, brainstorm solutions to the challenges of aging and conduct product explorations, where they evaluate and recommend existing products and services geared toward their demographic. The information and product reviews from these sessions are published on the TechEnhancedLife.com, where users can also sign up to become a member of the online community. However, Caro says product developers, who have little insight into the lives of older adults, often miss the mark when creating products for an older demo. To address this disconnect, the Longevity Explorers also participate in sponsored explorations, where a company commissions them to test out a product in the early stages of development and provide feedback and suggestions for improvements. The sponsored explorations typically involve new tech products and have included the testing of artificial intelligence applications for older adults. “They’re usually shocked at the insight and depth of contribution and just how off target their initial thoughts were,” Caro says of the developers who participate. The unsponsored product explorations often arise from discussions on unmet needs and the shortcomings of products currently used by the Explorers. One such exploration started with the idea of creating a lighted cane that would address the shared safety concerns that prevented the Explorers from venturing out of their houses at night. After discovering the invention had already existed in multiple formats, Caro purchased each of the competing models and had the Explorers determine their top choice. With the publication of these product reviews, Caro says product developers have started to take notice. Davis says members often help one another find useful products and services as well. During one longevity circle, she discovered a new grocery delivery service that had just launched in San Francisco. An educational component also runs through many of the meetings. 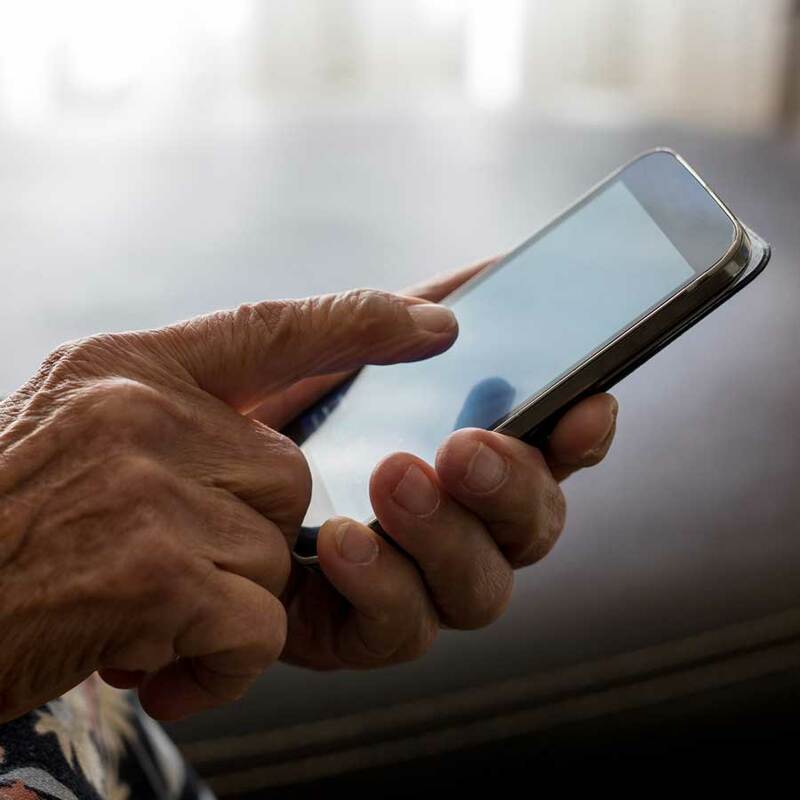 The Useful Apps Club, where the Explorers discover and learn how to use various apps on their smartphones and tablets, has lead to the creation of a curated list of useful apps for older adults. After an assessment of a wide range of medical alert systems conducted by the Explorers, Caro and his team used the information to develop a selection guide, which uses a series of questions to identify the system that suits a user’s specific needs. Literature published on the site also covers a wide variety of issues including guides on preventing falls and staving off social isolation. When it comes to the push for better products, Caro says that for him and the Explorers the goal is not only to improve their own lives, but those of future generations. Click here if you’re interested in becoming a Longevity Explorer or creating a longevity circle in your area.